Trumpeter, producer, and DJ Will Magid’s unique style of live performance and electronic sampling seamlessly blends original music with sounds from across the globe. Will, who studied Ethnomusicology at UCLA, has gathered inspiration from playing music on every continent except Antarctica. 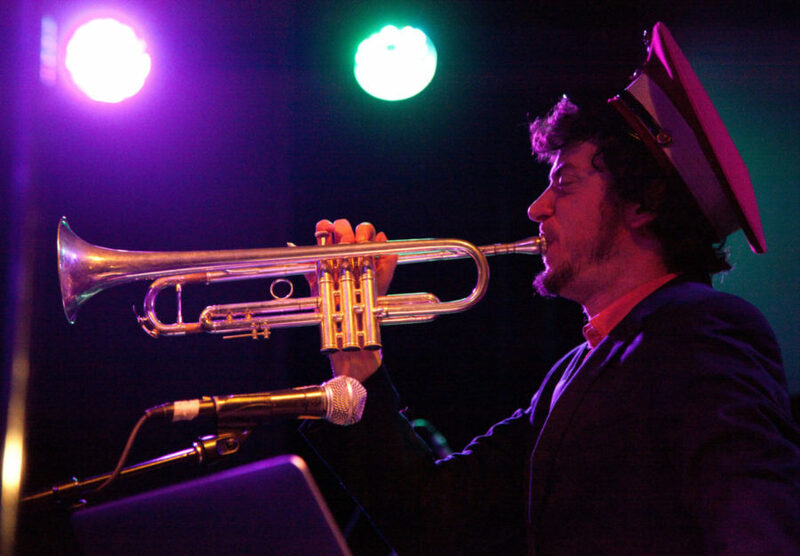 While Will garnered many accolades by his teens for his trumpet playing, Will is a multi-instrumentalist creating buoyant jams packed with rich layers of celebratory horns, bouncing percussion, classical strings and even a bit of ambient noise. Across his career and international tours, Will has collaborated with many talented artists from diverse genres of music, such as Afrolicious, Bonobo, Solomon Burke, Erykah Badu, Pretty Lights, Kenny Burrell, Zigaboo Modeliste, Baba’ Ken Okulolo, Ocote Soul Sounds, CocoRosie, Jeremy Sole, J-Boogie, and the Mutaytor. Will is also the founder of the Bay Area concert series World Wide Dance Party – celebrating music traditions from around the world and social justice.